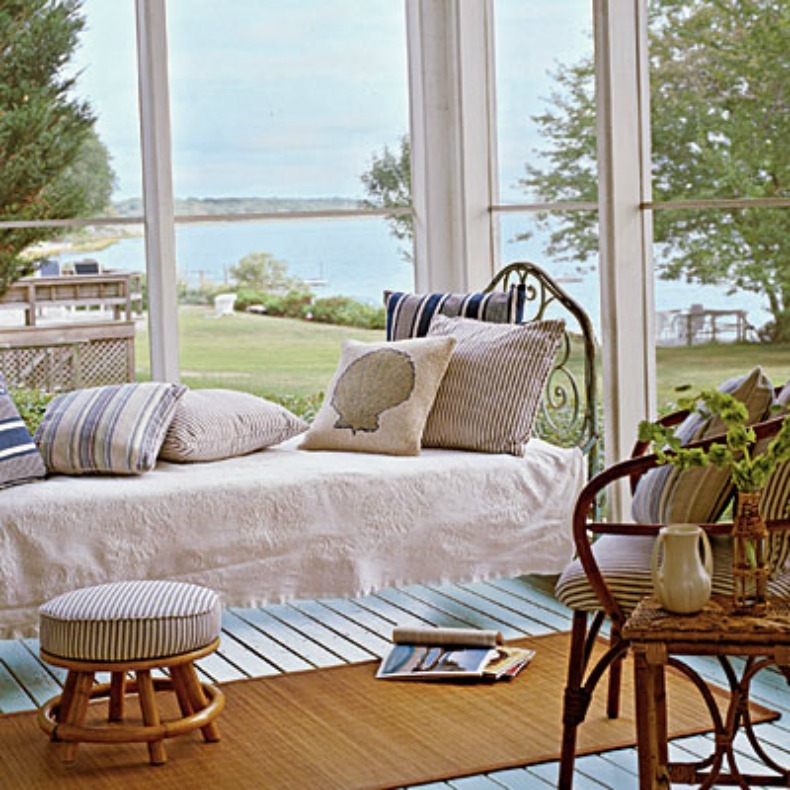 Cottage style day bed with a perfect ocean landscape. Vast open windows, panoramic ocean views and cozy dining. 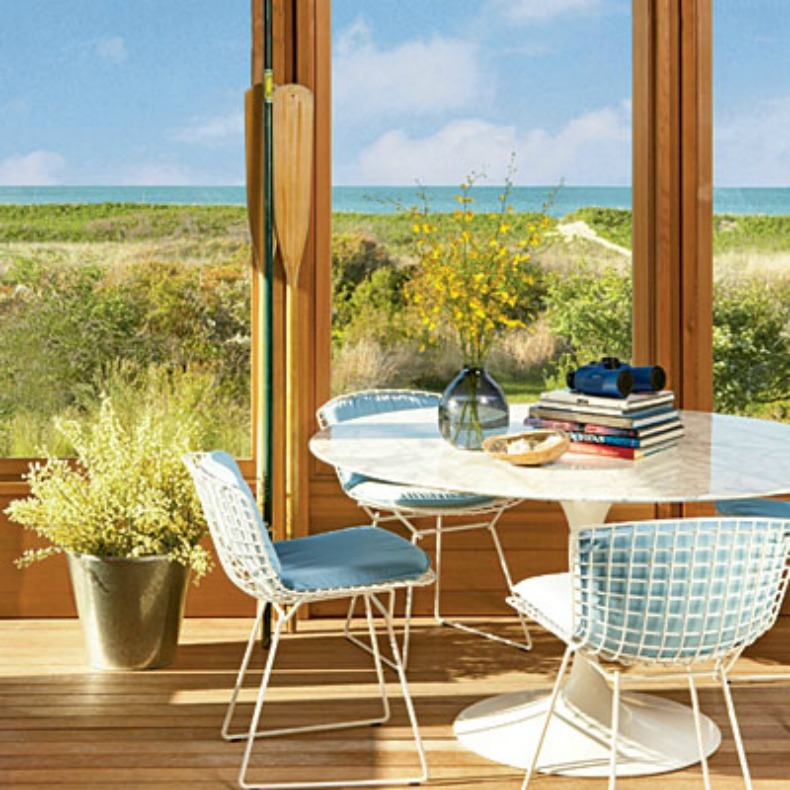 This modern style cottage breakfast room with ocean views that go on forever. 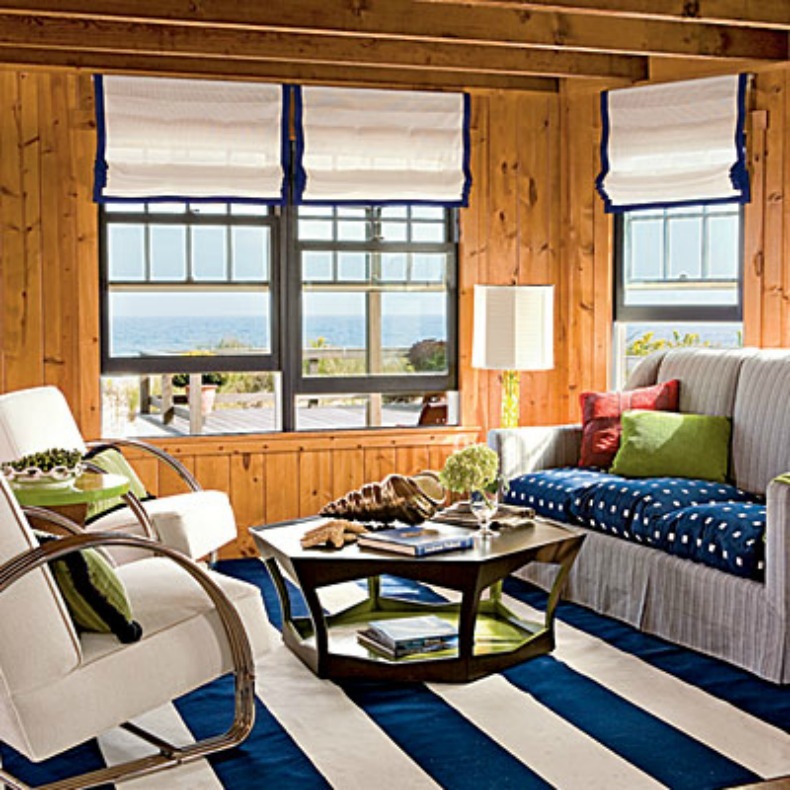 Blue and white awning stripe rug gives this cottage a pop of color and anchors the room. Light blue cottage chairs and breakfast table with bright framed windows to enjoy the ocean view. Coastal Cottage Living Room that opens right up to the beach. Life can't get any better than this.